Forty-five years after the last Australian troops came home from Indochina, the Royal Australian Air Force is flying Vietnamese peacekeepers to war-torn South Sudan. Early today one of RAAF’s giant C-17 Globemaster transport aircraft left Ho Chi Minh City carrying the first group of 32 members of the Vietnamese medical team to the African nation along with tonnes of equipment and medical supplies. 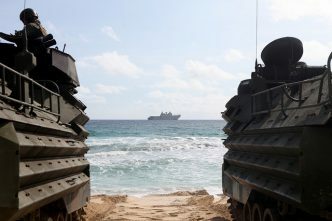 Such close cooperation on a complex mission is significant at time when an assertive China, threats from North Korea, foreign fighters returning to the region and insurgency in the southern Philippines have set Australia on course for much closer defence and security ties with Southeast Asian nations. Before the massive jet’s departure, its passengers and Australian crew were farewelled by Vietnam’s Deputy Defence Minister, Senior Lieutenant General Nguyen Chi Vinh, who thanked Australia for its help. During the mission, the heavily laden C-17 is to be refuelled far out over the Indian Ocean by a RAAF KC-30 tanker and it will make a stop in the Seychelles. In a fortnight, a second aircraft from RAAF Base Amberley near Brisbane will carry the rest of the 70-strong Vietnamese team to South Sudan. The contingent includes doctors, nurses, support personnel and everything it takes to run a field hospital. 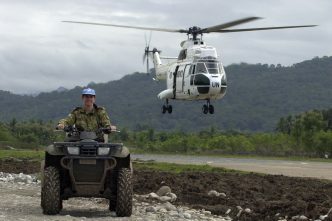 Keen to play a greater international role, Vietnam approached Australia more than two years ago saying it was looking for a non-combat UN mission to showcase its capabilities. It sought the ADF’s help in planning the mission. With experience at launching expeditionary operations going back well over a century, Australia provided an ideal partner. Over many years, the ADF has provided Vietnamese personnel with English-language training and that relationship has become steadily closer. 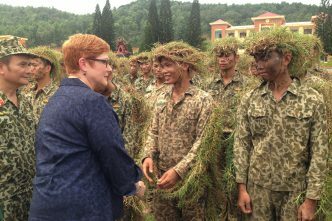 The ADF gave the Vietnamese logistical advice and Vietnamese officers attended military training exercises and seminars in Australia. Australian instructors were sent to help the Vietnamese prepare for the deployment. That included coaching the members of the field hospital to bring their English up to the standard required by the UN for such medical operations. Australia also helped Vietnamese officials work their way through the UN’s complex bureaucratic processes and provided some of their equipment. At a farewell concert, senior Vietnamese officers told the men and women in the contingent the Vietnamese people had paid a high price for their independence and security and they now had a responsibility to help bring peace to parts of Africa and other regions stricken by violence. As a general handed the contingent a painting of Vietnam’s revolutionary leader, Ho Chi Minh, some of its members responded that they were ‘Uncle Ho’s soldiers’. 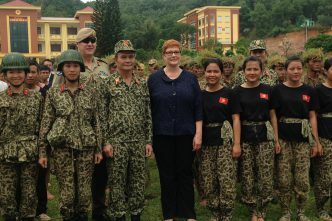 Australia’s ambassador to Hanoi, Craig Chittick, said the deployment fitted neatly into Australia’s overall strategic partnership with Vietnam. He said Vietnam was a key regional nation and was forecast to be one of the world’s top 20 economies by 2050. The cooperation had allowed Australia to build its relationship with Vietnam, Major General Bilton said. Specialised equipment provided by Australia includes a large deployable shelter which will serve as accommodation, an ambulance and a power generator. The United States provided two buildings to house field hospitals, one in Vietnam, for training, and the other in South Sudan. The Vietnamese are replacing a British medical contingent in South Sudan and hope to later send a 268-strong engineering team. 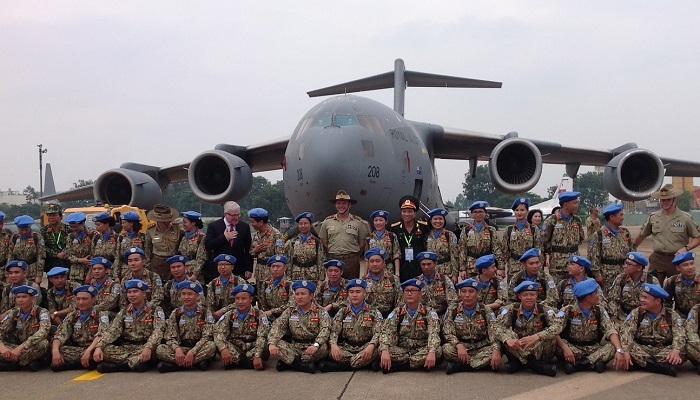 As its military personnel gain international peacekeeping experience, Vietnam hopes to also dispatch police and civilian specialists on UN operations. 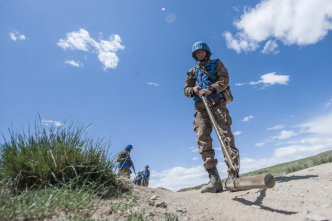 A new and uncertain regional security situation and the healing power of time have brought big changes. The C-17’s 30-year-old pilot, Flight Lieutenant Ashley Kissock, was born 15 years after Australia’s part in the Vietnam War ended. He has flown in Iraq and Afghanistan. Being part of this Vietnamese peacekeeping operation was, he said, ‘unique’—and his vast and powerful aircraft was ideal to facilitate it.